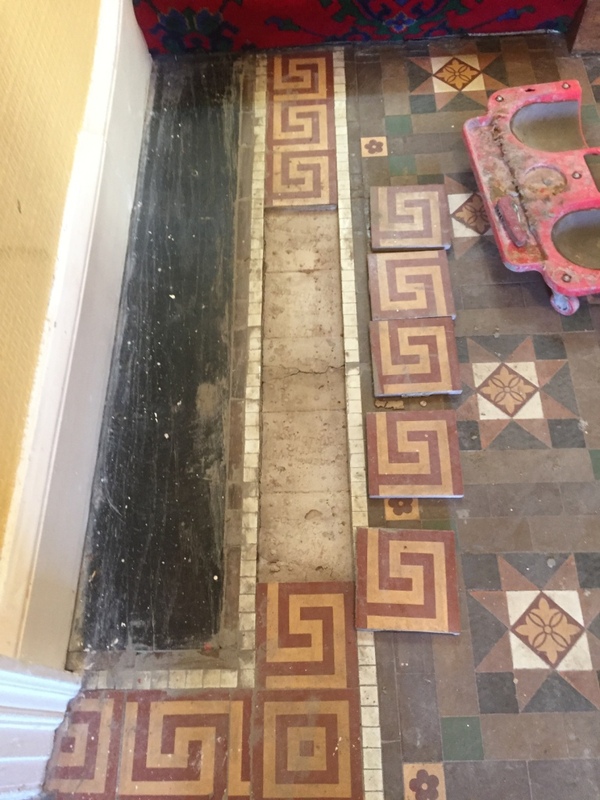 As you can see from the photographs below this Victorian tiled hallway was in quite a state and not only needed a thorough clean and fresh seal but needed to be rebuilt in parts. 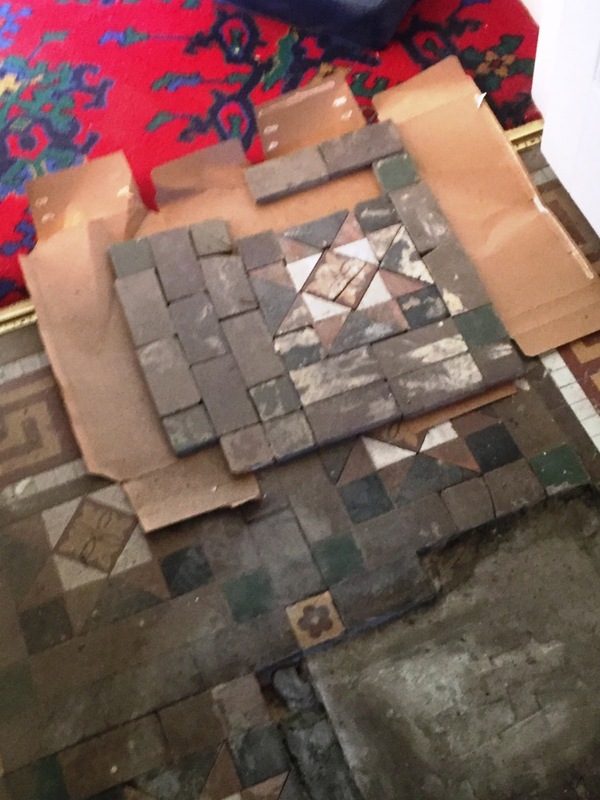 A good 30% of the floor tiles were lose and it took three days to rebuild the screed levelling compound before refitting loose tiles and new ones had to be cut to size, fixed in place and then re-grouted. On day 4 a 400 grit coarse burnishing pad was applied to clean up the whole floor. This was followed by scrubbing the tile and grout with Tile Doctor Pro-clean mixed 50/50 with NanoTech HBU remover followed by Remove and Go and finally treated with Acid Gel to remove the grout haze. 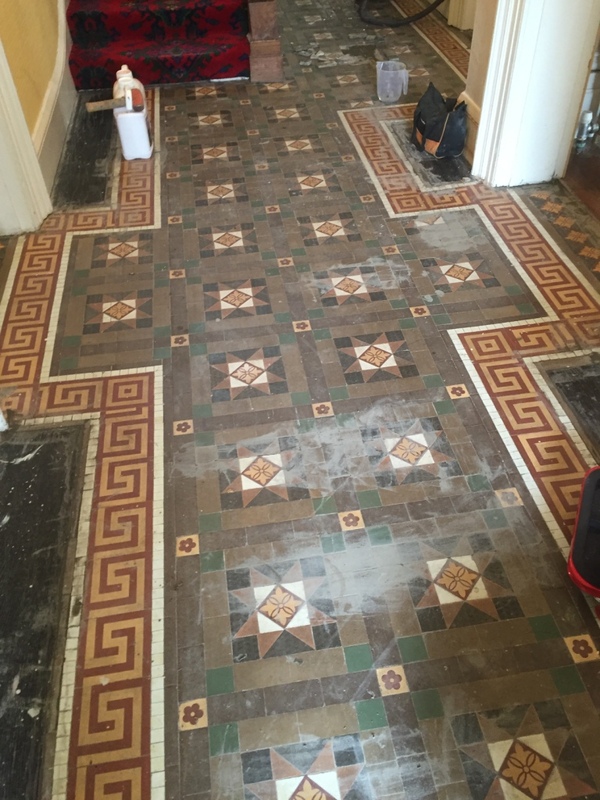 After that the White tiles were steam cleaned to get them as clean and white as possible. The floor was thoroughly rinsed after each treatment and the slurry extracted using a wet vacuum. 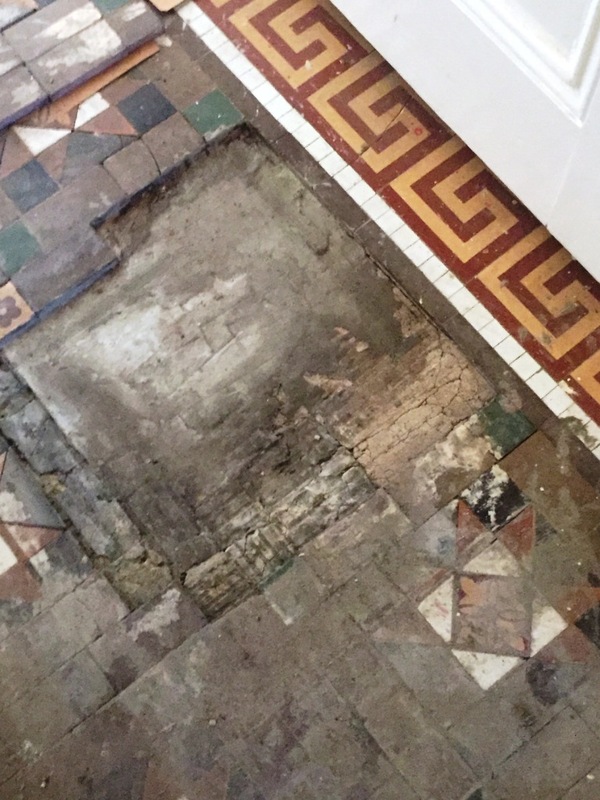 I left the floor for 5 days so it could thoroughly dry out and settle following the numerous treatments and then came back to seal the tiles, I used a damp test meter first to verify the floor was dry and ready for sealing. Once happy I proceed to apply a couple of coats of Tile Doctor Colour Grow which is a colour enhancing sealer that soaks into the tile protecting it from within and leaves a matt finish. 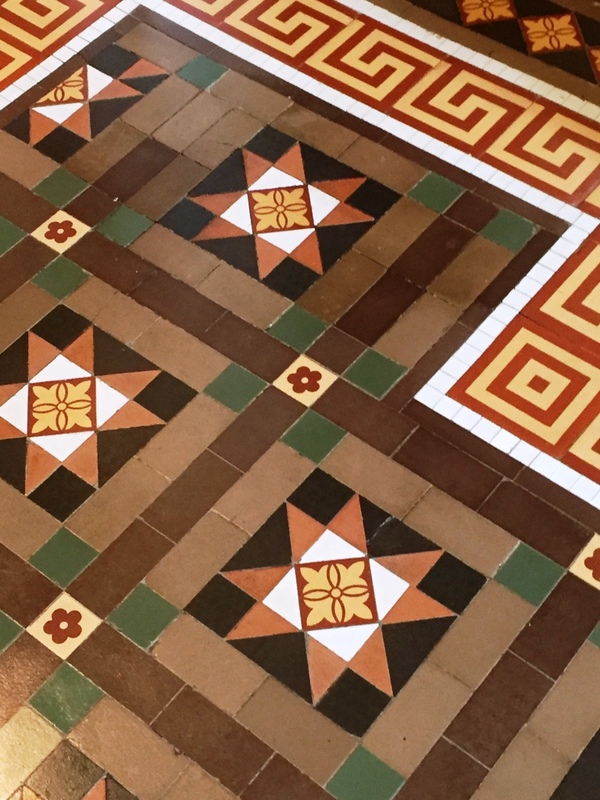 A lot of work went into restoring this floor but I’m really pleased with the way it came out and as you can imagine the owner was really happy with the transformation that had taken place in their house. 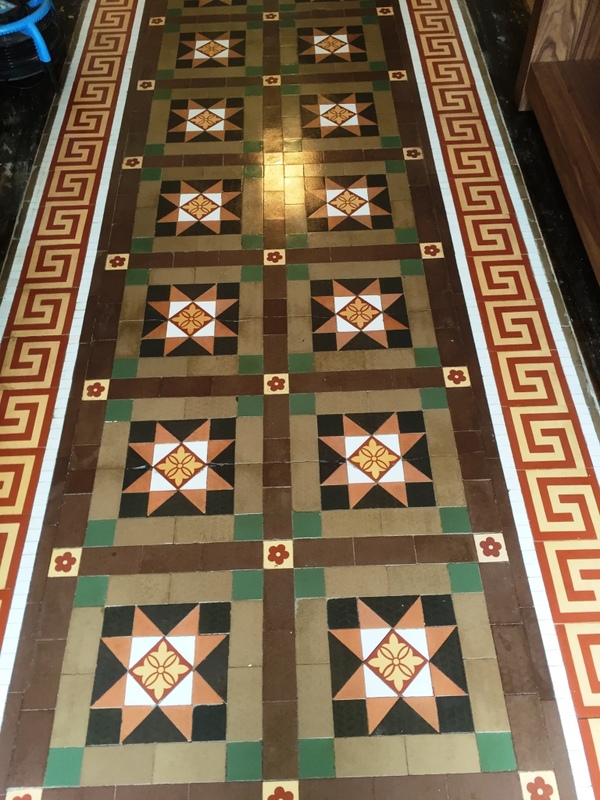 This entry was posted in Victorian Posts and tagged hallway, Leamington Spa, tile cleaning, tile sealing, victorian tiles, Warwickshire by AbzDominise. Bookmark the permalink.